Connecticut law is clear – it's your car, it's your choice on where to have it repaired, NOT the insurance companies. Your car gets damaged (car accident, garage door, shopping cart, acorn nut attack – whatever) and the repairs look expensive, so you call your insurance company and submit a claim. 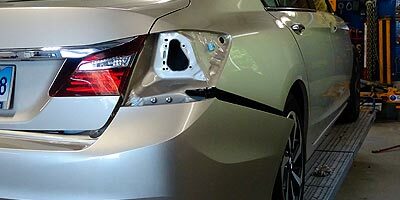 Your friendly insurance claims representative takes your information than STRONGLY suggests you bring your damaged car to their preferred auto body repair shop. They try to entice you by saying the repairs would go more quickly and smoothly by using their preferred body shop. They might even state they would even guarantee the repairs – what a great deal you think to yourself. Then you begin to wonder...Hmm. Why do "They" prefer one shop over another? You think there may be some "Secret Deal" between them. And how do you, the consumer benefit from it... you don’t! Well, we've got news for you - That great deal of quick service and guaranteed repairs is not the only choice you have. It's an offer you can and should refuse. Don't be influenced or intimidated by your insurance company; have your vehicle repaired at a repair shop of your choice. Connecticut law is clear – it's your car, it's your choice on where to have it repaired, NOT the insurance companies. 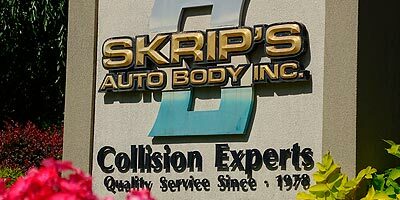 Naturally, we hope you choose Skrip's Auto Body – where we've been "makin-'em straight since 78", right here in Prospect, on Rt. 68.